Nobody wants to fill up a boring vanilla form anymore. Instead, insert a few interactive screens. Give the users something they can actually engage with and something that would excite them. Let them have a little fun, and eventually you will easily get the information you are looking for. The idea of injecting some fun and excitement to the serious business of banking to make it more approachable for customers is where Gamification comes into the picture. Gamification, in the simplest sense, means the trend of employing game mechanics to non-game environments. Gamification is not a new concept per se. Over the years, companies have been successfully using it for the purposes of marketing and customer loyalty. However, now it has extended its scope and meaning thanks to the integration of online, social, mobile, location based services, etc. in all types of businesses. It has now moved to the realm of customer education, innovation management and enhanced engagement, among other things. Gamification is gradually being deployed by financial companies, including bank institutions, to change user behavior and enhance user experience, mainly in the online sector. It is becoming a key way to engage with users and keep them engaged for a longer period of time. As all banks offer convenient online and mobile banking options, gamification could become a serious differentiator for the banks that use this concept. It is not only useful for innovating key processes, but also for increasing infrastructure efficiency and value propositions. Of course, it can be employed in different areas of banking. For example, ODBC Bank of Singapore launched Playmoolah, an online game for children to teach them about financial literacy and the importance of saving. Another example is Save Up which is a savings rewards program designed as a game with simple rules, goals and awards in the form of credits for behaviors. Save Up rewards acts like opening new accounts, good payment behavior, deposit activity, social media sharing, etc. In 2013, San Francisco-based AchieveMint integrated with platforms like Twitter, Facebook, Foursquare, Meetup, RunKeeper, MapMyFitness and Fitbit. Whenever consumers would go for a run, they could tweet something "healthy" or check-in to a health food store or any other thing based on health that could be tracked and they were rewarded with points on the free service. When they had enough points, they could convert them into merchandise or cash. CIMB Malaysia also used gamification to target younger customers to teach them about financial literacy. The games involve a fake online stock exchange and CIMB Youth Savers, a financial literacy tool for children. Commonwealth Bank of Australia's Investorville uses gamification to teach people about the things pertaining to owning a property. The game allows the bank's customers to simulate buying and owning a property. Recently, as part of its digital campaign #LiveWithoutCash, ICICI Bank launched Crack The Maze which teaches customers about the strong security that ICICI Bank Credit Cards and Debit Cards offer through the means of gamification. 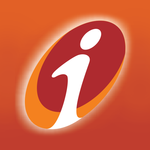 Moreover, ICICI Bank Games has various interesting games which give information about its various products and services in a fun and interactive way. While it is an easy way to gain customer interest, there are a few things that banking institutions need to keep in mind when using this technology. Banks need to constantly update the aesthetics and themes of the games. Gamification cannot be a last minute thought, and therefore it needs to be integrated well with the online banking strategy right from the beginning. The cost factor also has to be a part of this plan. Since gamification requires extra cost, banks need to do a comprehensive analysis of cost benefit. Different services and product offerings would need different creative ideas, strategies and technology for their respective gamification. Banks, being secure institutions, also need to make sure that the deployment of games does not lead to any violation of data security. 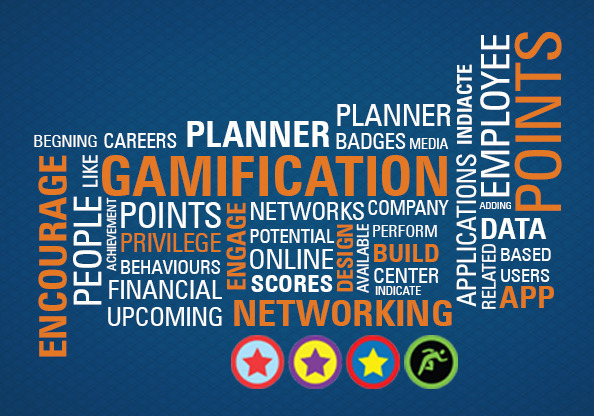 Gamification is clearly pervading our lives and is an important tool to reach the Gen-Y. Analyst firm M2 Research forecasts that the market for gamification solutions will increase by more than 11-fold over four years, from $242 million in 2012 to $2.8 billion by 2016. It is upto the companies to have right motivation and meaningful incentives before integrating gamification to their processes. We will have to wait and watch how gamification is integrated in various businesses including the business of banking.